Full transcripts of the interviews will be avaiable following the broadcast of "Duke Ellington's Washington" at 10:00pm EST Febuary 7, 2000. Check local listings. 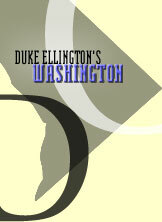 There's much more to the story of Duke Ellington's Washington than can fit into a one hour documentary. If you missed the national broadcast on February 7, 2000, or if you just want to find out more about what some of the characters in the documentary had to say, you can read the text of the interviews here. Click on Charles and Virginia Williams to see more of their charming partnership. Click on Dr. Billy Taylor to hear what he has to say about the development of Jazz. Or click on Alice Spraggins, the daughter of Duke Ellington's music teacher, and reminisce with her about her memories of Ellington and the early days of the Shaw neighborhood where they both grew up. Read about what Jim Dickerson and the Manna Development Corporation are doing to preserve the living history of this area. Or explore the interviews of several more characters from the documentary to get a deeper understanding of the area's sense of community and history, as well as the reason's for it's decline and renaissance.